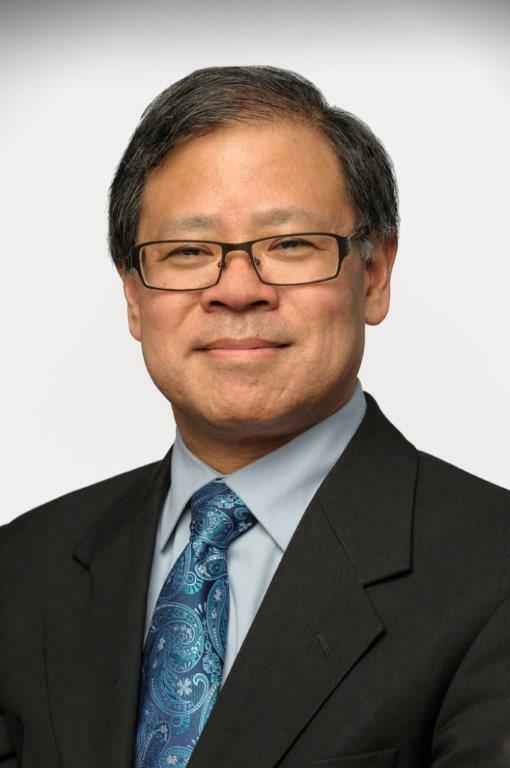 Darrell J. Yamashiro, MD, PhD is a pediatric oncologist who specializes in the care of children with pediatric solid tumors, especially neuroblastoma, Wilms' tumor and other kidney tumors, and liver tumors such hepatoblastoma and hepatocellular carcinoma. Although liver tumors in children are rare (they account for only one to two percent of childhood cancers), they can be very complex and require a multidisciplinary approach for optimal management. Dr. Yamashiro enjoys working as part of a team of physicians, nurse practitioners, nurses, social workers, child life specialists, and other dedicated healthcare professionals who deeply care about patients and who provide care with compassion and comfort. Dr. Yamashiro also conducts basic science research. The latest advances in tumor genetics and the design of innovative therapies make this a very exciting time. For example, he and his team have done extensive research on the genetics of hepatoblastoma and developed mouse models, entering the phase of research where they are taking a personalized/precision medicine approach to this disease. They are also identifying novel genes that specifically target neuroblastoma-information that may be used to create targeted therapies. Boboila S, Lopez G, Yu J, Banerjee D, Kadenhe-Chiweshe A, Connolly EP, Kandel JJ, Rajbhandari P, Silva JM, **Califano A, **Yamashiro DJ. Transcription factor activating protein 4 is synthetically lethal and a master regulator of MYCN-amplified neuroblastoma. Oncogene. 2018. Epub 2018/06/09. doi: 10.1038/s41388-018-0326-9. PubMed PMID: 29880876. Tavana O, Li D, Dai C, Lopez G, Banerjee D, Kon N, Chen C, Califano A, Yamashiro DJ, Sun H, Gu W. HAUSP deubiquitinates and stabilizes N-Myc in neuroblastoma. Nat Med. 2016. doi: 10.1038/nm.4180. PubMed PMID: 27618649. Oberg JA, Glade Bender JL, Sulis ML, Pendrick D, Sireci AN, Hsiao SJ, Turk AT, Dela Cruz FS, Hibshoosh H, Remotti H, Zylber RJ, Pang J, Diolaiti D, Koval C, Andrews SJ, Garvin JH, Yamashiro DJ, Chung WK, Emerson SG, Nagy PL, Mansukhani MM, Kung AL. Implementation of next generation sequencing into pediatric hematology-oncology practice: moving beyond actionable alterations. Genome Med. 2016;8(1):133. doi: 10.1186/s13073-016-0389-6. PubMed PMID: 28007021; PMCID: PMC5180407. Dela Cruz FS, Diolaiti D, Turk AT, Rainey AR, Ambesi-Impiombato A, Andrews SJ, Mansukhani MM, Nagy PL, Alvarez MJ, Califano A, Forouhar F, Modzelewski B, Mitchell CM, Yamashiro DJ, Marks LJ, Bender JL, Kung AL. A case study of an integrative genomic and experimental therapeutic approach for rare tumors: identification of vulnerabilities in a pediatric poorly differentiated carcinoma. Genome Med. 2016;8(1):116. doi: 10.1186/s13073-016-0366-0. PubMed PMID: 27799065. Jani A, Shaikh F, Barton S, Willis C, Banerjee D, Mitchell J, Hernandez SL, Hei T, Kadenhe-Chiweshe A, **Yamashiro DJ, **Connolly EP. High-Dose, Single-Fraction Irradiation Rapidly Reduces Tumor Vasculature and Perfusion in a Xenograft Model of Neuroblastoma. Int J Radiat Oncol Biol Phys. 2016;94(5):1173-80. doi: 10.1016/j.ijrobp.2015.12.367. PubMed PMID: 26907918. Banerjee D, Hernandez SL, Garcia A, Kangsamaksin T, Sbiroli E, Andrews J, Forrester LA, Wei N, Kadenhe-Chiweshe A, Shawber CJ, Kitajewski JK, **Kandel JJ, **Yamashiro DJ. Notch suppresses angiogenesis and progression of hepatic metastases. Cancer Res. 2015;75(8):1592-1602. PMID: 25744722; PMCID: PMCPMC4401639.